​Ticket purchase is made securely through Paypal. You may pay with credit card or a Paypal account. Paypal charges a 4.0% processing fee. You will receive a payment confirmation, and a second confirmation directly from My Big Day within 24 hours. * All participants play at their own risk. 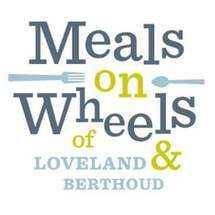 A portion of all Road Rally proceeds go to Meals on Wheels of Loveland & Berthoud!